blew off practice with the Golden State Warriors on Wednesday -- BUT IT WAS FOR A GREAT REASON -- the guy just opened his new after-school facility in Maryland! KD had made a $10 MILLION donation to the project last year -- to cover "construction and operating expenses" for the center in Prince George's County ... where Durant is from. Durant had teamed up with College Track to create the facility. The mission is to help kids from low-income areas get the resources they need to get to college. 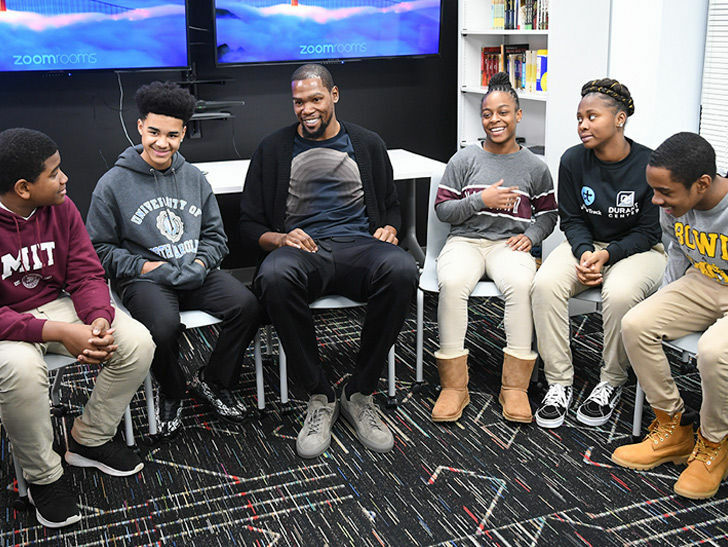 On Wednesday, Durant met with some of the kids from the inaugural 69-person class -- and everyone seemed super excited! The NBA superstar talked about the project to the ... describing it as the "full circle stuff that you dream about." He added, "So many people that meant so much to me at that time, and to see my name on the building ... Hopefully, that inspires kids in the area."